Are You Applying Your Skincare Products In The *Right* Order? We all know too well the importance of taking care of our skin. We’re aware of all the age-old skincare tips and we have stocked up on plenty of beauty products. We use sunscreen, moisturizer, face creams and masks religiously. But are we using them to their full benefit? Find out here the correct order to apply your skincare products for maximum benefit! Read on to ensure you apply your products in the following order to get gorgeous skin. To remove grime and dirt from your skin’s surface, so that the full benefit of your skincare products actually reaches your skin, use a cleanser. Cleansing will ensure that your skin is clean and everything else you use on it is actually absorbed. It is the first thing you should do before using any other products. On days when you want to show your skin some extra tender loving care, use a face mask. 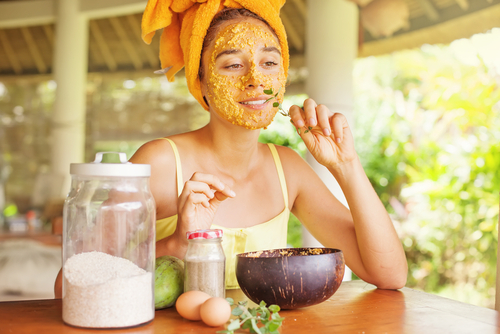 The right kind of face mask for your skin will help make it healthier and smoother. We suggest you use one at least once a week. A toner is a must in your skin care routine. It is a step that people often skip, so don’t make that mistake. Using a toner has multiple benefits like giving your skin an extra boost of hydration and repairing it, cleaning your pores of bacteria, tightening pores, enhancing the benefits of your skincare creams and more. Also read: 10 Skincare Products Every College-Going Girl Must Have! If you use spot creams for acne or scars, apply them next. They need to go in before your serum and moisturizer for your skin to soak in their full benefit. Not a lot of people use a serum on their face, which in itself is a big mistake. Many use it after their moisturizer, which is incorrect. 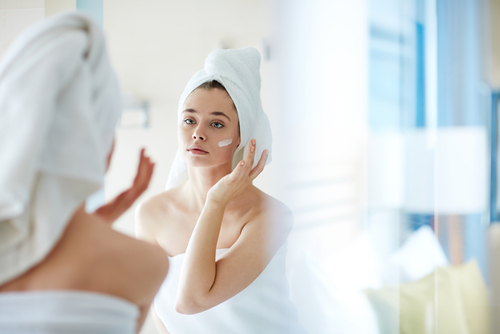 While applying skin care products, the lightest ones should be applied first. A serum is typically very light and full of active ingredients to really give your skin the boost it needs. 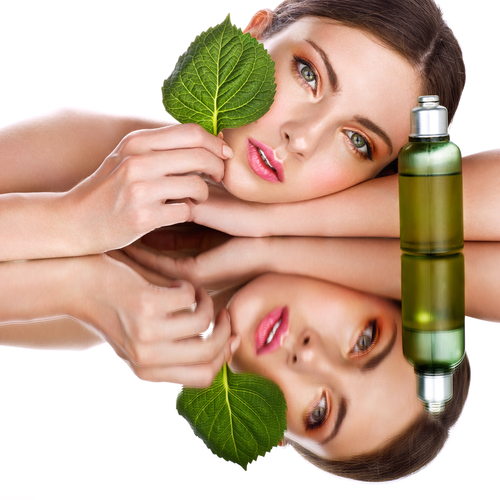 If you want radiant skin, start using a serum on it! Nothing worse than waking up with puffy eyes that make you look tired. You may feel like you don’t really need to use an eye cream in your 20s, but we suggest you start using one as it can delay signs of ageing, brighten up your eyes, reduce dark circles and make you look healthier. Pat it in lightly with your fingers before you apply your moisturizer/ face cream. 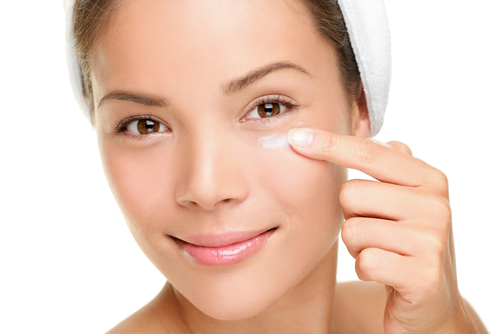 Whether you have dry or oily skin, a moisturizer is a must. So go ahead and get an oil-based one if you have dry skin or a water-based one if you have oily skin. Gently apply it all over your face, neck and body and massage. You can use a separate face cream instead of your body moisturizer. This step, we repeat, is very important to keep your skin hydrated and healthy. Also read: 10 Skincare Rules EVERY College Girl Should Live By! For people who have dry skin, and especially during the winters, dry patches tend to show up even after moisturization. To reduce the appearance of such patches, seal in the moisture with a few drops of facial oil. The oil should always be applied after your face cream.